If you played Diablo 2 and its expansion, Lord of Destruction, then you saw the end of the established world order with the destruction of the Worldstone. But what you didn’t see was the aftermath, because Lord of Destruction ends in 1265 AK (Ano Kehjistani, named for the founding of Kehjistan) and Diablo 3 starts in 1285 AK. That’s a twenty year gap, and it’s in that gap that Diablo Immortal will be set, starting some five years after the destruction of the Worldstone. While we don’t know a lot from that period, there has been some tie-in media that has dealt with that time period before now. For example, Mishka who is the center of the short story Unyielding was born in 1275 AK, ten years before Diablo 3 and thus at the exact center of the time period covered by Immortal. Jacob and Shanar, who appear in Sword of Justice and Storm of Light, are both active adventurers during this time period — Jacob was even mentioned during the Diablo Immortal reveal at BlizzCon. So what has been established for the years before Diablo 3? What kind of world was Sanctuary in that period? We know that there were still monsters and demons to fight, as well as treasures to be looted from ancient and more recent sites. One reason we know this is the very existence of New Tristram. The town was established entirely to profit from the flood of treasure-seekers and adventurers who descended as far into the old ruins of Tristram and the Cathedral as they could, stripping them bare of any loot they could find. When this process started is as yet unclear but it was in swing for long enough for a town to be constructed entirely on the back of the trade, and it was profitable long enough for the town to still be in existence in 1285, some twenty-one years after old Tristram itself fell into horror and ruin. It’s unlikely that New Tristram was the only such place established during the period in which the Triune Greater Evils of Diablo, Mephisto and Baal were no longer active. We know that the other Evils were hardly quiet during this period, for example — we know that Deckard Cain and his ward Leah — the daughter of Aidan (in his Dark Wanderer period) and the witch Adria — dealt with a plan by Belial to establish a kingdom on Sanctuary in Caldeum around the year 1272, when Leah was eight years old. We also know that the Archangel Tyrael’s destruction of the Worldstone left Sanctuary without one of its greatest (and, in the eyes of the High Heavens, most frequently interfering) guardians, but the sword El’druin chose a wielder who served as the Avatar of Justice during this time period. Jacob Staalek, alongside the Wizard Shanar, carried El’druin for years until the reformation of Tyrael would cost him the sword and his role as Avatar. Today, Jacob serves in the new Horadrim that Tyrael founded, but between Tyrael’s destruction and reformation the sword was in a human’s hand. Indeed, the adventures of Jacob and Shanar are very important in understanding the period between the destruction of the Worldstone and the events of Diablo 3. 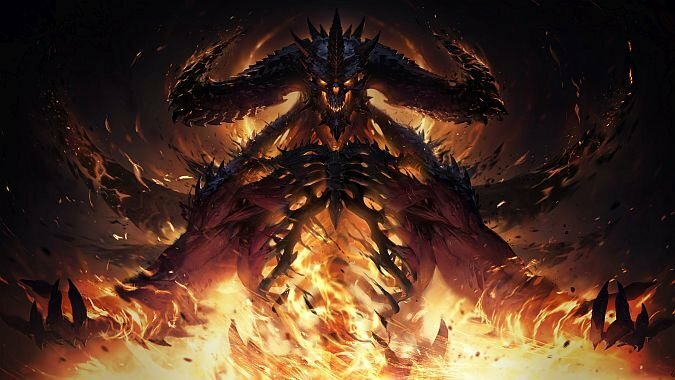 It’s in those adventures we see signs of what Diablo Immortal will be about: the attempt by the forces of Hell to regroup following the defeat of the Greater Evils, the lingering threats that menaced the world, and the lack of any protectors, which forced mortal men and women into the fray. 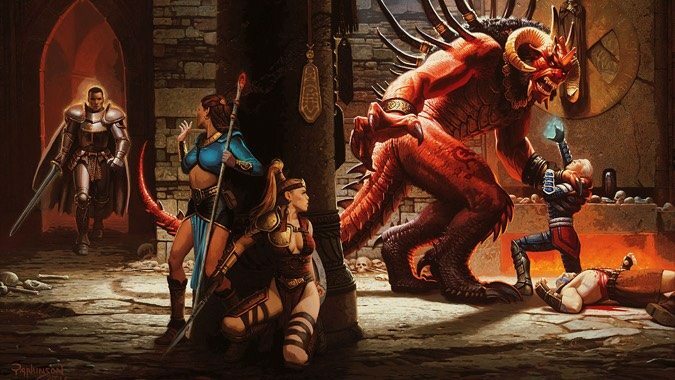 Just as a group of mortal adventurers found themselves forced to give battle to Diablo, Mephisto, and Baal, figures like Jacob and Shanar stepped forward to confront the Rage Plague that was infecting those children of Bul-Kathos who tried to escape from a devastated Sescheron. In addition to this, we know certain sects come into existence during this time period, or revealed themselves after a long absence. The corruption of the Zakarum Priesthood that was revealed in Diablo 2 left many bereft. Their faith seemed a sham and there was nothing left to replace what they’d lost — but the return of the Crusaders on their quest to purify the Zakarum also took place during this period. The Crusaders that had left Kehjistan were, of course, not the ones that returned, as hundreds of years had passed since then. But the order itself stood as a bulwark against corruption and its return at exactly the moment that the Zakarum were at their lowest ebb cannot be a coincidence. Among the ranks of those that returned was at least one of the Nephalem. It seems, in fact, that Jacob’s whole purpose was to point the way to the Nephalem — that the prophecy that lured him and Shanar to the caves underneath Mount Arreat where El’druin remained after destroying the Worldstone was one that would ultimately lead to New Tristram and the events of Diablo 3. 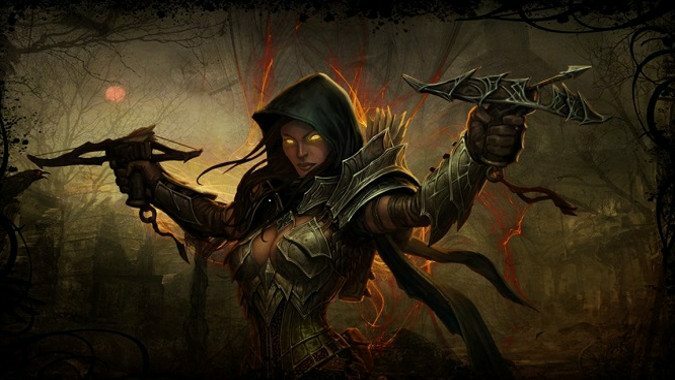 Similarly, the Demon Hunter Valla is beginning her training with Josen during Diablo Immortal. The picture of the period we can glean from the source materials we have is one of a world where the greatest driving forces of the Hells were no longer present. There was a thin veneer of peace under which innumerable threats ranging from Belial on down were still active and pursuing their own interests. The Necromancer Zayl defeated the demon Astrogha in Westmarch during this period, for example — even as Baal was meeting his end in the north, lesser demons still had their own plots and schemes and would not be easily deterred. What little we know about Sanctuary in 1270 AK shows a world that appears peaceful on the surface. The ruins of Tristram have been deserted for at least six years, following the destruction of the town and the travels of the Dark Wanderer. 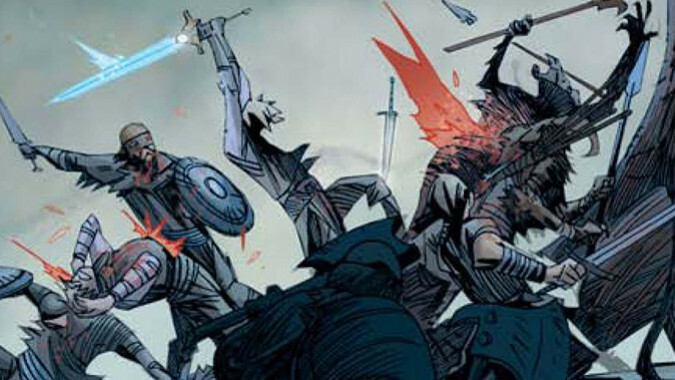 The Sisterhood of the Sightless Eye is no more, destroyed by Blood Raven, and the order of Rogues went with it. New Tristram has either recently come to be or is soon to do so, and with it a wave of looters and treasure hunters. Caldeum has risen to replace disgraced Kurast as the most powerful city in Kehjistan, but the demon Belial is skulking in its shadows and plotting his ascendance. Jacob Staalek, the Avatar of Justice, wields El’druin and travels with the wizard Shanar seeking answers to a prophecy he doesn’t understand. Deckard Cain and his ward Leah have yet to confront demonic forces in Caldeum or travel outside of the east. In short, even before we learned about Diablo Immortal, Sanctuary of this era was a world sloping towards inevitable disaster. It’s a time desperately in need of heroes.